Infinity by Crown is a landmark multi-use apartment building designed to be a centerpiece of the Green Square precinct revitalization. 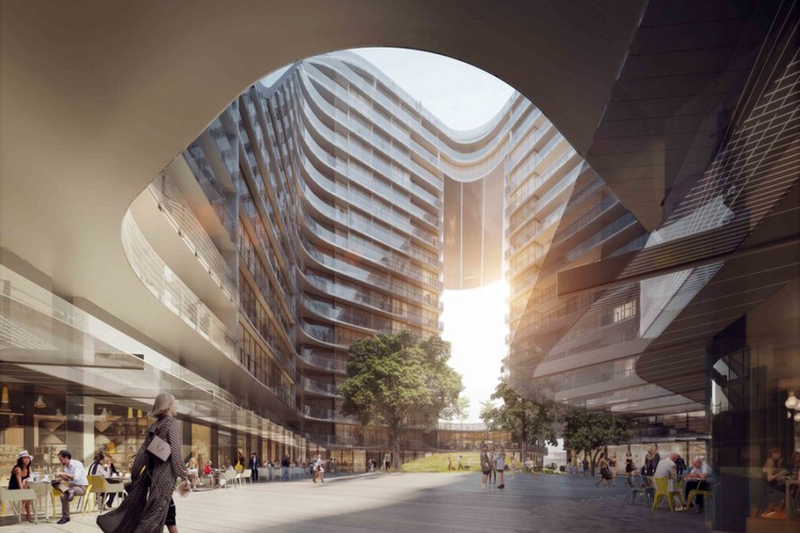 The development will contain 401 apartments, mixed-use retail, a convention center, pool gymnasium, theatre, music room and lounge, all built atop a multi-storey basement carpark and a subterranean pedestrian link to Green Square train station. 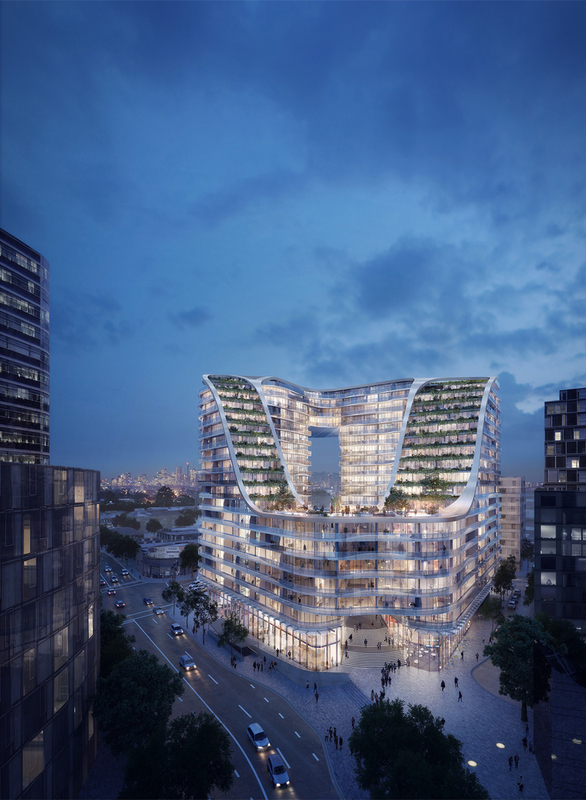 The striking design features two intertwined loops representing a connection between public and residential space. 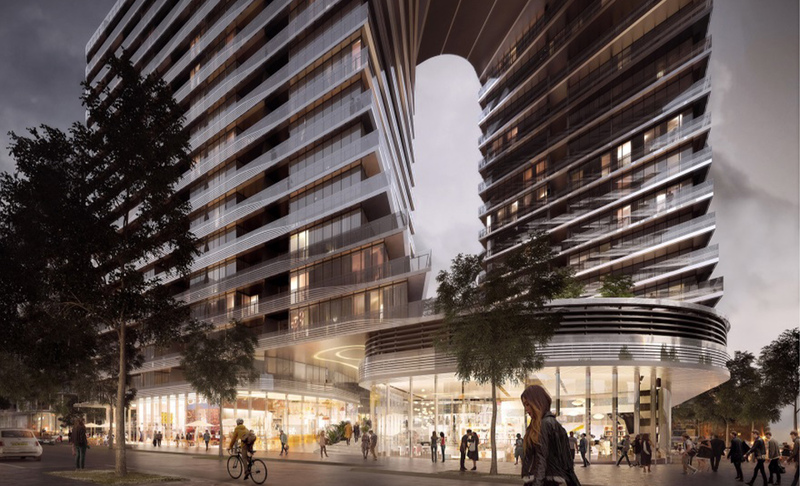 Holmes Fire became involved with the project at the concept development stage where we provided Building Code Australia (BCA) compliance advice and identified where fire engineering could assist in maximizing design flexibility and adding value to the project. The design has been pushed far beyond the limits of the BCA Deemed-to-Satisfy Provisions, with the Fire Engineering forming an integral part of the design from the outset. 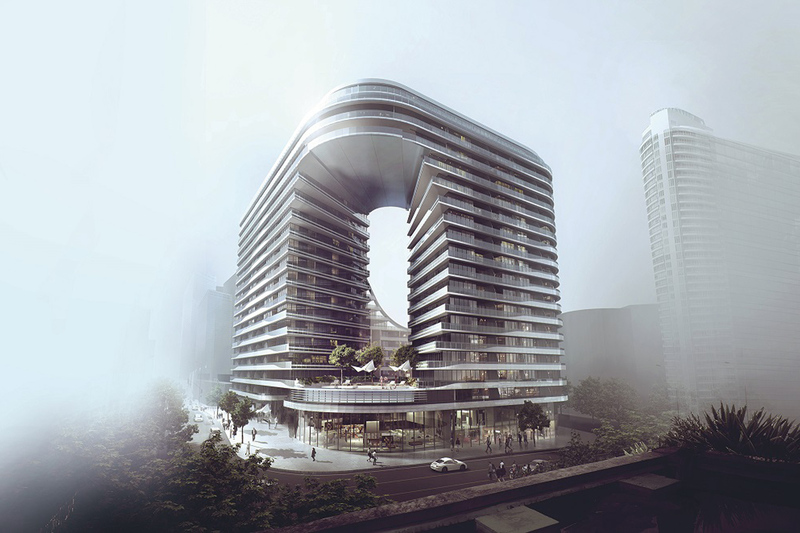 Holmes Fire’s well established relationship with both Crown Group and Koichi Takada Architects, across multiple projects, formed a solid platform for the development of the conceptual design, and the ongoing design development. Holmes Fire’s early involvement provided the architect with the confidence to apply significant architectural freedom which was necessary to enable such an ambitious design to be realized. Holmes Fire’s understanding of the key drivers and aspirations for Crown Group and Koichi Takada Architects has resulted in a fire safety design which is cohesive with the architectural intent. Through collaboration with a large design team including the client, architect, structural engineer, mechanical engineer and fire services engineer, Holmes Fire developed an intimate understanding of the building, and as a result was able to provide a thorough BCA Assessment at the completion of the Development Application phase, which formed the foundation for the evolution of the design going forward. Removal of the need for compliance for speech intelligibility of the occupant warning system within the basement carparks – providing a pragmatic approach to a frequently occurring issue.